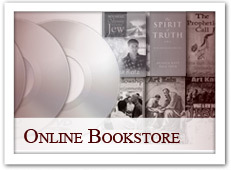 In the interest of preserving the written and spoken legacy of Art Katz [called home to be with the Lord on June 28th, 2007], this website was created to make Art’s prophetic burden and gifting available for online reading, listening and downloading. Most of the materials on this website are compiled from transcriptions of audio messages, while others are from Art’s own writings ( Articles ). There is an email sign-up for those who desire to receive update notifications of new materials listed on this site; see the sign-up at right. Art encouraged the duplicating of his audio messages, and there are no copyright claims for those who desire to share them with others. However, Art’s books and writings (including articles on this website) do still carry a copyright, and permission needs to be sought if quoting from those is required. The latest book by Art is now available for purchase . “The Final Mystery: Israel and the Church-A key to understanding the last days of this age.” can be purchased for $15.99 via the on line store.